The Turkey Point nuclear plant, owned by Florida Power & Light. 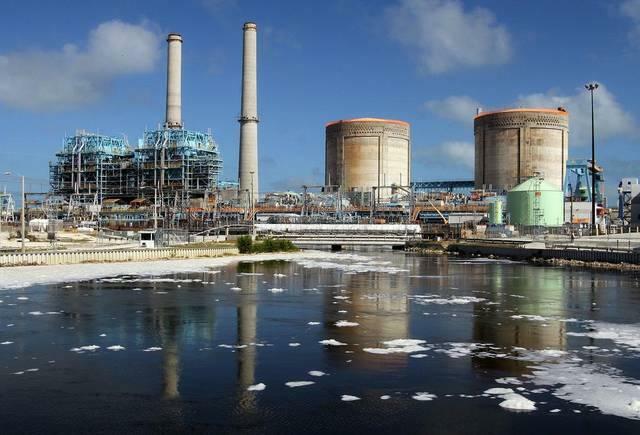 Administrative Law Judge Bram Canter says that the cooling canal system at the FPL-owned Turkey Point nuclear plant has caused unacceptable levels of saltwater to enter the Biscayne Aquifer. The aquifer is the main source of freshwater for South Floridians. Canter says the Department of Environmental Protection failed to hold FPL accountable for meeting groundwater quality standards. He’s calling on DEP to revoke its administrative order with FPL or alter it so that it enforces environmental laws. FPL estimates that an average of 600,000 pounds of salt per day moves from the plant’s canal system into the aquifer. As a result, a massive saltwater plume is spreading in the aquifer. A preliminary report addressing salinity and temperature levels from the plant’s canal system was made public around the same time as the judge’s order. It was conducted by a University of Miami civil and environmental engineering professor named David Chin, at the request of Miami-Dade County. His report also outlines the effects of pumping up to 100 million gallons a day from the plant’s L-31E Canal. Chin says that salinity in the canals will continue to rise as evaporation outpaces rainfall. He also says that although pumping more fresh water from the canals could lower salinity, it would raise water levels, which could lead to the salt plume advancing even farther. He recommends ways the electric power company should move forward in monitoring the temperature. "The recommendation is that FPL look at mitigating the temperature increases and use a model to analyze whatever measures they take," Chin says. FPL and the DEP will have to come up with an environmentally friendly plan to clean up the canals, per the judge’s order. The power company says it will continue to follow regulatory requirements and that it is making headway in improving the antiquated canals. FPL is planning on building two new nuclear reactors at its current plant to meet the demands of energy consumption. The plant is situated between Homestead and Biscayne National Park. It’s among the largest power plants in the U.S.